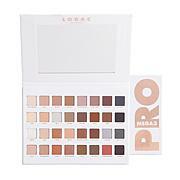 A travel-friendly professional artistry eyeshadow palette that features a trio of shades from the LORAC PRO 2 Palette. 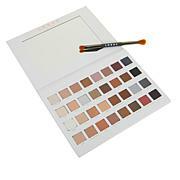 With its long-lasting, velvety-smooth, ultra-pigmented shadows, you can easily shade, shadow, line and define on the go to help keep your eyes looking glamorous all the time. Ingredients: Talc, Mica, Zinc Stearate, Boron Nitride, Silica, Dimethicone, Ethylhexyl Palmitate, Mineral Oil (Paraffinum Liquidum), Althaea Officinalis Root Extract, Carum Petroselinum (Parsley) Extract, Cucumus Sativus (Cucumber) Fruit Extract, Calendula Officinalis Flower Extract, Centaurea Cyanus Flower Extract, Citrus Limon (Lemon) Peel Extract, Kaolin, Methicone, Lauroyl Lysine, Water (Aqua), Propylene Glycol, Methylparaben, Propylparaben, May Contain: Titanium Dioxide (CI 77891), Iron Oxides (CI 77491, CI 77492, CI 77499), Carmine (CI 75470). *Contains Carmine as a Color Additive. Nice but colors not for me. 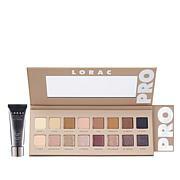 These are very nice, smooth, highly pigmented and blendable colors but they just did not work on me. (Medium skin tone, dark brown eyes). 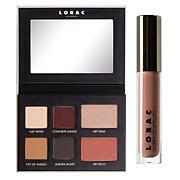 I had to return but would definitely buy Lorac eye shadows again. 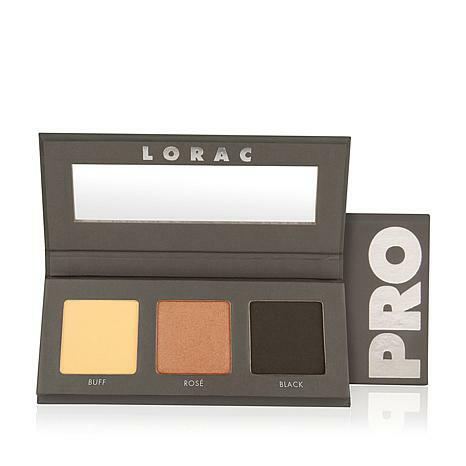 This is a very nice palette for travel or just to drop into your purse.